The Hulk is cast as the emotional and impulsive alter ego of the withdrawn and reserved physicist Dr. Bruce Banner. The Hulk appears shortly after Banner is accidentally exposed to the blast of a test detonation of a gamma bomb he invented. Subsequently, Banner will involuntarily transform into the Hulk, depicted as a giant, raging, humanoid monster, leading to extreme complications in Banner's life. Lee said the Hulk's creation was inspired by a combination of Dr. Jekyll and Mr. Hyde and Frankenstein. Although the Hulk's coloration has varied throughout the character's publication history, the most consistent shade is green. As the Hulk, Banner is capable of significant feats of strength, the magnitude of which increase in direct proportion to the character's anger. As the character himself puts it, "The madder Hulk gets, the stronger Hulk gets!" Strong emotions such as anger, terror and grief are also triggers for forcing Banner's transformation into the Hulk. A common storyline is the pursuit of both Banner and the Hulk by the U.S. armed forces, because of all the destruction that he causes. The Hulk has since been depicted in various other media, most notably by Bill Bixby as Dr. David Banner and Lou Ferrigno as the Hulk in the live-action television series and five made-for-television movies. Others have been: multiple animated series, through the use of CGI in Hulk (2003) and The Incredible Hulk (2008), and various video games. The Hulk is set to appear in the 2012 film The Avengers. In the debut, Lee chose grey for the Hulk because he wanted a color that did not suggest any particular ethnic group. Colorist Stan Goldberg, however, had problems with the grey coloring, resulting in different shades of grey, and even green, in the issue. After seeing the first published issue, Lee chose to change the skin color to green. Green was used in retellings of the origin, with even reprints of the original story being recolored for the next two decades, until The Incredible Hulk vol. 2, #302 (December 1984) reintroduced the grey Hulk in flashbacks set close to the origin story. Since then, reprints of the first issue have displayed the original grey coloring, with the fictional canon specifying that the Hulk's skin had initially been grey. The original series was canceled with issue #6 (March 1963). Lee had written each story, with Kirby penciling the first five issues and Steve Ditko penciling and inking the sixth. The character immediately guest-starred in The Fantastic Four #12 (March 1963), and months later became a founding member of the superhero team the Avengers, appearing in the first two issues of the team's eponymous series (Sept. & Nov. 1963), and returning as an antagonist in issues #3 and #5 (Jan.–May 1964). He then guest-starred in Fantastic Four #25-26 (April–May 1964), which revealed Banner's full name as "Robert Bruce Banner," and The Amazing Spider-Man #14 (July 1964). Around this time, co-creator Kirby received a letter from a college dormitory stating the Hulk had been chosen as its official mascot. Kirby and Lee realized their character had found an audience in college-age readers. A year and a half after the series was canceled, the Hulk became one of two features in Tales to Astonish, beginning in issue #60 (Oct. 1964). In the previous issue, he had appeared as an antagonist for Giant-Man, whose feature under various superhero guises had run in the title since issue #35. This phase also introduced the concept of Banner's transformations being caused by extreme emotional stress, which would become central to the character's status as an iconic figure of runaway emotion. It was also during this time that the Hulk developed a more savage and child-like personality, shifting from the brutish figure who spoke in complete sentences. This new Hulk feature was initially scripted by writer-editor Lee and illustrated by the team of penciller Steve Ditko and inker George Roussos. Other artists later in this run included Jack Kirby from #68-84 (June 1965 – Oct. 1966), doing full pencils or, more often, layouts for other artists; Gil Kane, credited as "Scott Edwards", in #76 (Feb. 1966), his first Marvel Comics work; Bill Everett inking Kirby in #78-84 (April–Oct. 1966); and John Buscema. Marie Severin finished out the Hulk's run in Tales to Astonish. Beginning with issue #102 (April 1968) the book was retitled The Incredible Hulk, and ran until March 1999, when Marvel canceled the series and restarted the title with a new issue #1. The Tales to Astonish run introduced the super-villains the Leader, who would become the Hulk's archnemesis, and the Abomination, another gamma-irradiated being. In issue #77 (March 1966), Bruce Banner's and the Hulk's dual identity became publicly known, thus making Banner often a wanted fugitive from the authorities. The Incredible Hulk was published through the 1970s, and the character also made guest appearances in other titles. Writers introduced Banner’s cousin Jennifer Walters, the She-Hulk, in a title of her own. In the first issue of the She-Hulk comic, Banner gave some of his blood to Walters in a transfusion. She seemed fine at first, but when she later suffered stress it caused a transformation into the She-Hulk. Unlike her cousin, she maintained her intellect and personality, although her inhibitions were noticeably lowered. She later appeared in the Hulk comic proper, as well as other Marvel titles. Banner’s guilt about causing her change became another part of his character, although Jennifer grew to prefer her She-Hulk state. Writers changed numerous times during the decade. At times, the creative staff included Archie Goodwin, Chris Claremont, and Tony Isabella, Len Wein handled many of the stories through the 1970s, working first with Herb Trimpe, then, in 1975, with Sal Buscema, who was the regular artist for ten years. Harlan Ellison plotted a story, scripted by Roy Thomas, for issue #140 (June 1971), "The Brute that Shouted Love at the Heart of the Atom". Issues #180-181 (Oct.-Nov. 1974) introduced the character Wolverine, who would go on to become one of Marvel Comics' most popular. In 1977, Marvel (under its Curtis Magazines imprint) launched a second title, The Rampaging Hulk, a black-and-white comics magazine. Originally, the series was conceived as a flashback series, set between the end of his original, short-lived solo title and the beginning of his feature in Tales to Astonish. After nine issues, the magazine was retitled The Hulk! and printed in full color. 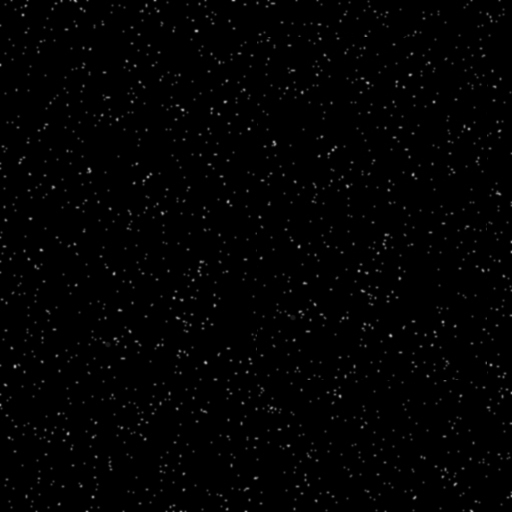 Near the end of the magazine's run, it went back to black-and-white. Back-up features included Bloodstone, Man-Thing, and Shanna the She-Devil during the Rampaging Hulk issues, and later Moon Knight and Dominic Fortune. Ultimately, the stories from both incarnations of the magazine were quietly retconned as "movies" based upon the Hulk for alien audiences. Following Roger Stern, Bill Mantlo took over the writing with issue #245 (March 1980). His "Crossroads of Eternity" stories, which ran through issues #300-313 (Oct. 1984 – Nov. 1985), explored the idea that Banner had suffered child abuse. Greg Pak, a later writer on The Incredible Hulk (vol. 2), called Mantlo's "Crossroads" stories one of his biggest influences on approaching the character. After five years, Mantlo and artist Mike Mignola left the title for Alpha Flight, and Alpha Flight writer John Byrne took over the series and left it after six issues, claiming, "I took on the Hulk after a discussion with editor-in-chief Jim Shooter, in which I mentioned some of the things I would like to do with that character, given the chance. He told me to do whatever was necessary to get on the book, he liked my ideas so much. I did, and once installed he immediately changed his mind - 'You can't do this!' Six issues was as much as I could take." Byrne was followed briefly by Al Milgrom, before new regular writer Peter David took over. David became the writer of the series with issue #331 (May 1987), marking the start of a 12-year tenure. David's run altered Banner's pre-Hulk characterization and the nature of the relationship between Banner and the Hulk. David returned to the Stern and Mantlo abuse storyline, expanding the damage caused, and depicting Banner as suffering dissociative identity disorder (DID). David's stories showed that Banner had serious mental problems long before he became the Hulk. David revamped the personality significantly, giving the gray Hulk the alias "Joe Fixit," and setting him up as a morally ambiguous Las Vegas enforcer and tough guy. David worked with numerous artists over his run on the series, including Dale Keown, Todd McFarlane, Sam Kieth, Gary Frank, Liam Sharp, Terry Dodson, Mike Deodato, George Pérez, and Adam Kubert. In issue #377 (Jan. 1991), David revamped the Hulk again, using a storyline involving hypnosis to have the splintered personalities of Banner, Joe Fixit and the savage green Hulk synthesize into a new Hulk, who has the vast power of the Savage Hulk, the cunning of the gray Hulk, and the intelligence of Bruce Banner. In the 1993 Future Imperfect miniseries, writer David and penciller George Pérez introduced readers to the Hulk of a dystopian future. Calling himself the Maestro, the Hulk rules over a world where most of the heroes have been killed, and only Rick Jones and a small band of rebels fight against the Maestro’s rule. Although the Maestro seemed to be destroyed by the end, he returned in The Incredible Hulk #460 (Jan. 1998), also written by David. In 1998, David followed editor Bobbie Chase's suggestion to kill Betty Ross. In the introduction to the Hulk trade paperback Beauty and the Behemoth, David said that his wife had recently left him, providing inspiration for the storyline. Marvel executives used Ross' death as an opportunity to push the idea of bringing back the Savage Hulk. David disagreed, leading to his parting ways with Marvel. His last issue of Hulk was #467 (Aug. 1998), his 137th. Also in 1998, Marvel relaunched The Rampaging Hulk as a standard comic book rather than as a comics magazine. Following David's departure, Joe Casey took over as writer until the series' relaunch after issue #474 (March 1999). Hulk vol. 2 began immediately the following month, scripted by John Byrne and penciled by Ron Garney. Byrne supported the editorial decision to push for the return of the "savage" Hulk, but his work on the book was negatively received. In particular, the 1999 Hulk Annual (which retconned the Skrulls as being responsible for the gamma bomb explosion that turned Banner into Hulk) were mocked in the pages of Peter David's Captain Marvel series, published concurrently as Byrne's Hulk run. Erik Larsen and Jerry Ordway briefly took over scripting, and the title returned to The Incredible Hulk vol. 3 with the arrival of Paul Jenkins in issue #12 (March 2000). Jenkins wrote a story arc in which Banner and the three Hulks (Savage Hulk, grey Hulk, and the Merged Hulk, now considered a separate personality and referred to as the Professor) are able to mentally interact with one another, each personality taking over the shared body. During this, the four personalities (including Banner) confronted yet another submerged personality, a sadistic "Devil" intent on attacking the world for revenge. Bruce Jones followed as the series' writer, and his run features Banner using yoga to take control of the Hulk while he is pursued by a secret conspiracy and aided by the mysterious Mr. Blue. Jones appended his 43-issue Incredible Hulk run with the limited series Hulk/Thing: Hard Knocks #1-4 (Nov. 2004 – Feb. 2005), which Marvel published after putting the ongoing series on hiatus. Peter David, who had initially signed a contract for the six-issue Tempest Fugit limited series, returned as writer when it was decided to make the story, now only five parts, part of the ongoing series instead. David contracted to complete a year on the title. Tempest Fugit revealed that Nightmare has manipulated the Hulk for years, tormenting him in various ways for "inconveniences" that the Hulk had caused him, including the sadistic Hulk Jenkins had introduced. It also implied that some or all of the recent storylines by Bruce Jones may have been just illusion. After a four-part tie-in to the House of M crossover and a one-issue epilogue, David left the series once more, citing the need to do non-Hulk work for the sake of his career. The core of the Hulk, Bruce Banner has been portrayed differently by different writers, but common themes persist. Banner, a genius, is sarcastic and seemingly very self-assured when he first appears in Incredible Hulk #1, but is also emotionally withdrawn in most fashions. Banner designed the gamma bomb which caused his affliction, and the ironic twist of his self-inflicted fate has been one of the most persistent common themes. Arie Kaplan describes the character thus: "Bruce Banner lives in a constant state of panic, always wary that the monster inside him will erupt, and therefore he can’t form meaningful bonds with anyone." Throughout the Hulk's published history, writers have continued to frame Bruce Banner in these themes. Under different writers, his fractured personality led to transformations into different versions of the Hulk. These transformations are usually involuntary, and often writers have tied the transformation to emotional triggers, such as rage and fear. As the series has progressed, different writers have adapted the Hulk, changing Hulk's personality to reflect changes in Banner's physiology or psyche. Writers have also refined and changed some aspects of Banner's personality, showing him as emotionally repressed, but capable of deep love for Betty Ross, and for solving problems posed to him. Under the writing of Paul Jenkins, Banner was shown to be a capable fugitive, applying deductive reasoning and observation to figure out the events transpiring around him. On the occasions that Banner has controlled the Hulk's body, he has applied principles of physics to problems and challenges and used deductive reasoning. It was shown after his ability to turn into the Hulk was taken away by the Red Hulk that Banner has been extremely versatile as well as cunning when dealing with the many situations that followed. During the experimental detonation of a gamma bomb, scientist Bruce Banner rushes to save a teenager who has driven onto the testing field. Pushing the teen, Rick Jones, into a trench, Banner himself is caught in the blast, absorbing massive amounts of radiation. He awakens later in an infirmary, seeming relatively unscathed, but that night transforms into a lumbering grey form that breaks through the wall and escapes. A soldier in the ensuing search party dubs the otherwise unidentified creature a "hulk". The original version of the Hulk was often shown as simple and quick to anger. His first transformations were triggered by sundown, and his return to Banner by dawn. However, in Incredible Hulk #4, Banner started using a gamma-ray device to transform at will. In more recent Hulk stories, emotions trigger the change. Although grey in his debut, difficulties for the printer led to a change in his color to green. In the original tale, the Hulk divorces his identity from Banner’s, decrying Banner as "that puny weakling in the picture." From his earliest stories, the Hulk has been concerned with finding sanctuary and quiet, and often is shown reacting emotionally to situations quickly. Grest and Weinberg call Hulk the "dark, primordial side of [Banner's] psyche." Even in the earliest appearances, Hulk spoke in the third person. The Hulk retains a modest intelligence, thinking and talking in full sentences, and Lee even gives the Hulk expository dialogue in issue six, allowing readers to learn just what capabilities the Hulk has, when the Hulk says, "But these muscles ain't just for show! All I gotta do is spring up and just keep goin'!" In Marvel: Five Fabulous Decades of the World's Greatest Comics, Les Daniels addresses the Hulk as an embodiment of cultural fears of radiation and nuclear science. He quotes Jack Kirby thus: "As long as we're experimenting with radioactivity, there's no telling what may happen, or how much our advancements may cost us." Daniels continues, "The Hulk became Marvel's most disturbing embodiment of the perils inherent in the atomic age." Though usually a loner, the Hulk helped to form both the Avengers and the Defenders. He was able to determine that the changes were now triggered by emotional stress. The Fantastic Four #12 (March 1963), featured the Hulk's first battle with the Thing. Although many early Hulk stories involve General Thaddeus "Thunderbolt" Ross trying to capture or destroy the Hulk, the main villain is often, like Hulk, a radiation-based character, like the Gargoyle or the Leader, along with other foes such as the Toad Men, or Asian warlord General Fang. Ross' daughter, Betty, loves Banner and criticizes her father for pursuing the Hulk. General Ross' right-hand man, Major Glenn Talbot, also loves Betty and is torn between pursuing the Hulk and trying to gain Betty's love more honorably. Rick Jones serves as the Hulk's friend and sidekick in these early tales. In the 1970s, Hulk was shown as more prone to anger and rage, and less talkative. Writers played with the nature of his transformations, briefly giving Banner control over the change, and the ability to maintain control of his Hulk form. Hulk stories began to involve other dimensions, and in one, Hulk met the empress Jarella. Jarella used magic to bring Banner’s intelligence to Hulk, and came to love him, asking him to become her mate. Though Hulk returned to Earth before he could become her king, he would return to Jarella's kingdom of K'ai again. When Bill Mantlo took on writing duties, he led the character into the arena of political commentary when Hulk traveled to Tel Aviv, Israel, encountering both the violence of the Israeli–Palestinian conflict, and the Jewish Israeli heroine Sabra. Soon after, Hulk encountered the Arabian Knight, a Bedouin superhero. Under Mantlo's writing, a mindless Hulk was sent to the "Crossroads of Eternity", where Banner was revealed to have suffered childhood traumas which engendered Bruce's repressed rage. Having come to terms with his issues, at least for a time, Hulk and Banner physically separated under John Byrne's writing. Separated from the Hulk by Doc Samson, Banner was recruited by the U.S. government to create the Hulkbusters, a government team dedicated to catching Hulk. Banner and Ross married, but Byrne's change in the character was reversed by Al Milgrom, who reunited the two personas, and with issue #324, returned the Hulk to his grey coloration, with the changes occurring at night, regardless of Banner's emotional state. The Hulk appeared to perish in a gamma bomb explosion, but was instead sent to Jarella's home dimension of K'ai. Shortly after returning to Earth, Hulk took on the identity of "Joe Fixit," a shadowy behind the scenes figure, working in Las Vegas on behalf of a casino owner, Michael Berengetti. For months, Banner was repressed in Hulk’s mind, but slowly began to reappear. Hulk and Banner began to change back and forth again at dusk and dawn, as the character initially had, but this time, they worked together to advance both their goals, using written notes as communication as well as meeting on a mental plane to have conversations. In The Incredible Hulk #333, the Leader describes the grey Hulk persona as strongest during the night of the new moon and weakest during the full moon. Eventually, the Green Hulk began to reemerge. The Hulk possesses the potential for limitless physical strength depending directly on his emotional state, particularly his anger. This has been reflected in the repeated comment, "The madder Hulk gets, the stronger Hulk gets." After probing, the entity Beyonder once claimed that the Hulk's potential strength had "no finite element inside." His durability, regeneration, and endurance also increase in proportion to his temper. 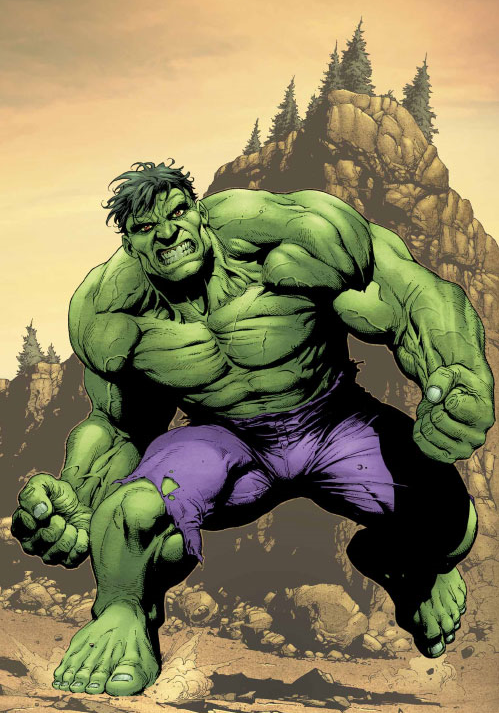 Greg Pak described the Hulk shown during World War Hulk as having a level of physical power where "Hulk was stronger than any mortal—and most immortals—who ever walked the Earth." The Hulk's level of strength is normally limited by Banner's subconscious influence. When Hulk allowed Jean Grey to psionically "shut Banner off", he reached a scale of power on which he managed to overpower and destroy the physical form of the villain Onslaught, at a time when it had reached a level with the fictional godlike entities, the Celestials. The Hulk is resistant to most forms of injury or damage. The extent varies between interpretations, but he has withstood the equivalent of solar temperatures, nuclear explosions, and planet-shattering impacts. Despite his remarkable resiliency, continuous barrages of high-caliber gunfire can hinder his movement to some degree, and this has been consistently portrayed outside the comic books, in both live-action films and animation. He has been shown to have both regenerative and adaptive healing abilities, including growing tissues to allow him to breathe underwater, surviving unprotected in space for extended periods, and when injured, healing from most wounds within seconds. As an effect, he has an extremely prolonged lifespan. The Hulk's powerful legs allow him to leap into lower Earth orbit or across continents, and he has displayed sufficient superhuman speed to match Thor, or the Sentry. He also possesses less commonly described powers, including abilities allowing him to "home in" to his place of origin in New Mexico, resist psychic control, or unwilling transformation; grow stronger from radiation or dark magic; and to see and interact with astral forms. In the early days of the first Hulk comic series, "massive" doses of gamma rays (such as from the explosion of a hand-held nuclear grenade) would cause the Hulk to transform back to Bruce Banner, although this ability was written out of the character by the 1970s. As Bruce Banner, he is considered one of the greatest minds on Earth. He has developed expertise in the fields of biology, chemistry, engineering, and physiology, and holds a Ph.D. in nuclear physics. He possesses "a mind so brilliant it cannot be measured on any known intelligence test." Bruce Banner also makes use of his intelligence to create highly advanced technology labelled as "Bannertech", which is on par with technological development from Tony Stark or Doctor Doom. The most common Bannertech Bruce uses is a force field able to shrug off blows from Hulk-level entities, along with a teleporter, which can be used to transport an unknown number of people. Bannertech is also used by Amadeus Cho, as well as the Hulk persona itself.